Hugo Boss company has come to the fore in the fashion industry of today. The company specializes in making business suits for men and women, the company also creates wonderful accessories as well as different perfumes and Hugo Boss wrist watches. Today, Hugo Boss brand is the indicator of success and self-confidence. But the history of the company foundation was not very easy. At first just a small garment factory was the heart of this fashion empire, which was founded in 1923 by German textile worker Hugo Boss. Initially, there was no label at the factory, and "Hugo Boss" brand, the name of which today speaks for itself, was unknown. After 87 years the small garment factory, specializing in production of uniforms and working cloths, became a symbol of success, freedom and independence. Today, Hugo Boss produces cloths for all occasions: classical, casual, sportswear, evening dress. In 1948, after the death of the company's founder Hugo Boss, business passed into the hands of Boss's son-in-law Eugen Holy. In 1953, Hugo Boss company released the first suit. In 1967, the company passed into the hands of Eugen Holy's children - Uwe and Jonen. In 1975, the company began to cooperate with Austrian designer Werner Baldessarini. The exceptional and unsurpassed style of the brand that today attracts everyone's attention, is the result of Werner Baldessarini's talent. The brand's popularity owes mainly Austrian designer. In the 70s of the 20th century, Boss's grandchildren created a suit that became a sensation in the fashion world, and gave a new company the name of their grandfather Hugo Boss. Later, Hugo Boss company expanded the product range, offering in addition to clothing and footwear, watches, handbags, perfumes, etc. As of today, Hugo Boss represents a perfect world, dictating its own style, so the wrist watches are the part of this world. Hugo Boss watches occupies a seat of honor in the fashion segment. They are produced by Swiss company Movado Luxury Group since 1997. The watches of this brand are manufactured on the basis of ETA Swiss movements, that is why the quality of the watch assembly is very high. The style of Hugo Boss wrist watches are mainly classical. But the brand doesn't confine itself to one style and introduces watches of different styles according to the dictates of time. Prominent artists of Hugo Boss company are thoroughly working on the design of the wrist watches, paying special attention to the cases and bracelets. The shapes of watch cases are various: round, rectangular, square, barrel-shaped. Hugo Boss company exposes watches with straps, bracelets and chains. Straps are made of premium leather or high-strength rubber. There is the embossed Hugo Boss logo on the watch dial, indicating that the watch belongs to the brand. There are no identical elements in Hugo Boss watches except the embossed logo. All of Hugo Boss wrist watches differ from each other a lot. The best designers and watchmakers are working on the wrist watches to produce unique and the most accurate timepieces. The watch glass, so-called sapphire crystal, needs special attention. It is a mineral glass that has a shock-resistant characteristic. The glass is covered with a layer of synthetic sapphire, that is the second only to diamond in its solidity. In order to emphasize the person's individuality and give him the image of perfection, one should know how to choose right accessories that are on his private wavelength. Hugo Boss wrist watches are very reliable, they can always accentuate your style and add the necessary touch to your look, completing your perfect image. Every person can find something special for himself in Hugo Boss wrist watches collection. The collection of Hugo Boss watches is constantly becoming wider that makes it possible for Hugo Boss admirers to get with fashion. Hugo Boss company gives you the opportunity to express yourself by introducing a wide range of wrist watches, so you can choose the perfect watch for every occasion. There are the men's watches collections for respectable business persons, and watches for those who are fond of sport. Hugo Boss wrist watches can be perfectly combined with the suits of the same brand. Hugo Boss women's watches are the combinations of elegance and modernity, creativity and self-restraint. 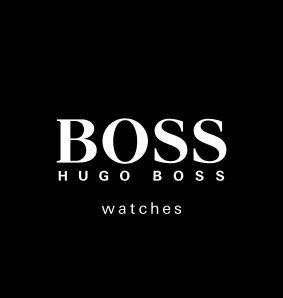 You can buy Hugo Boss watches in the salons of authorized dealers.